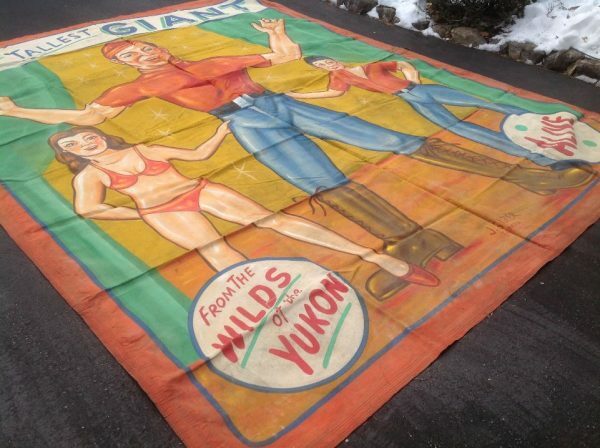 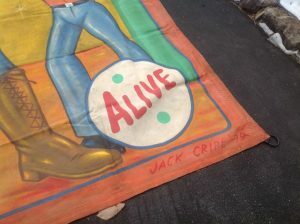 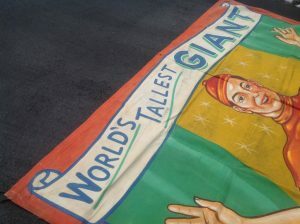 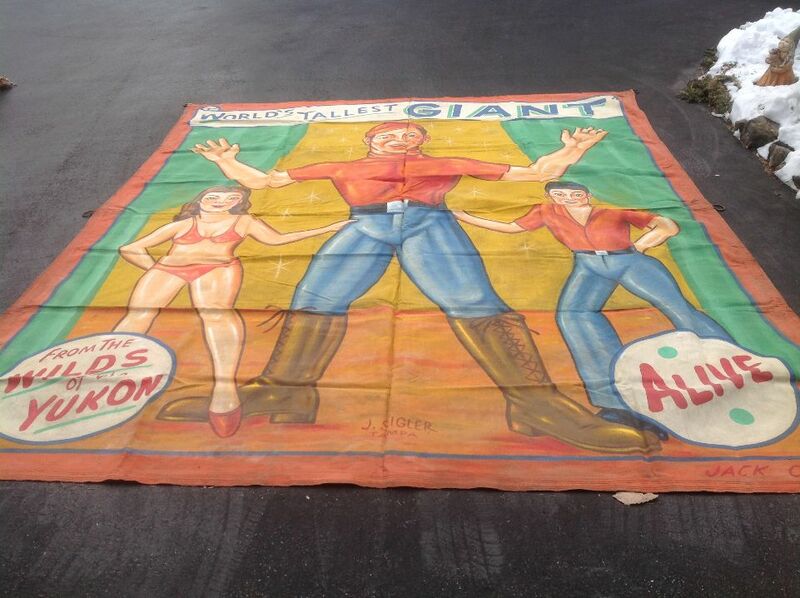 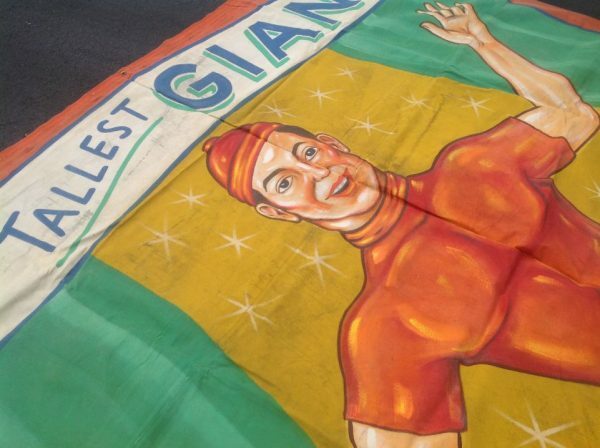 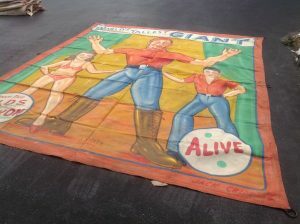 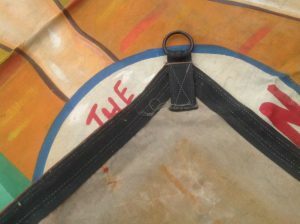 Antique carnival sideshow Giant Freak banner in as found condition. Some light wear but otherwise a beautiful banner. Signed Jack Cripe ’79’ and J. Sigler…………..